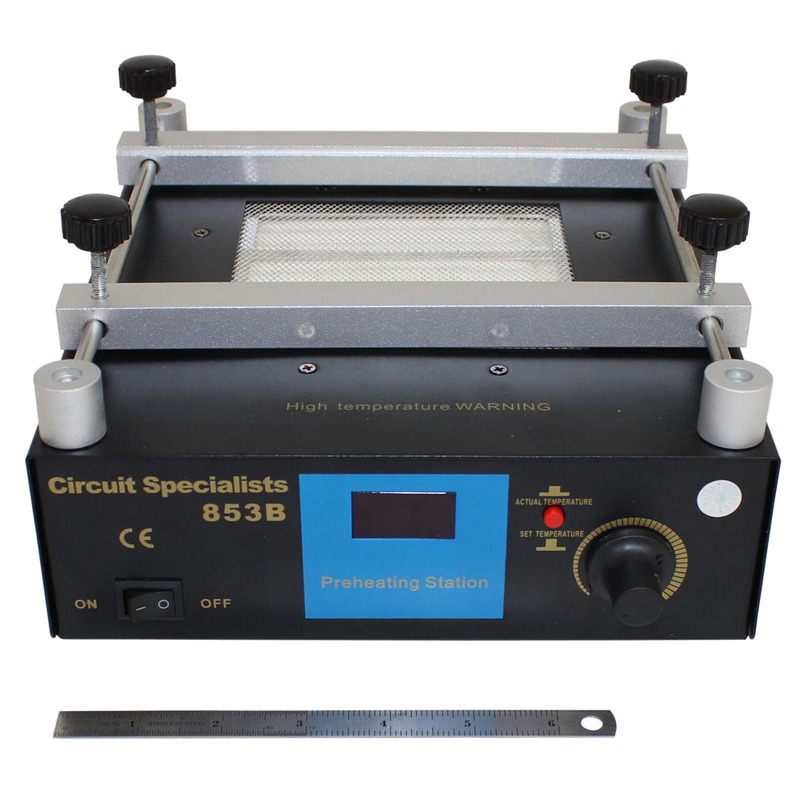 The CSI853B preheating platofrm provides a suitable and low cost method to assist when soldering or de-soldering various SMT devices while doing board rework or fabrication Incaluable when working with BGA, SOIC, QFP, PLCC style surface mount devices. 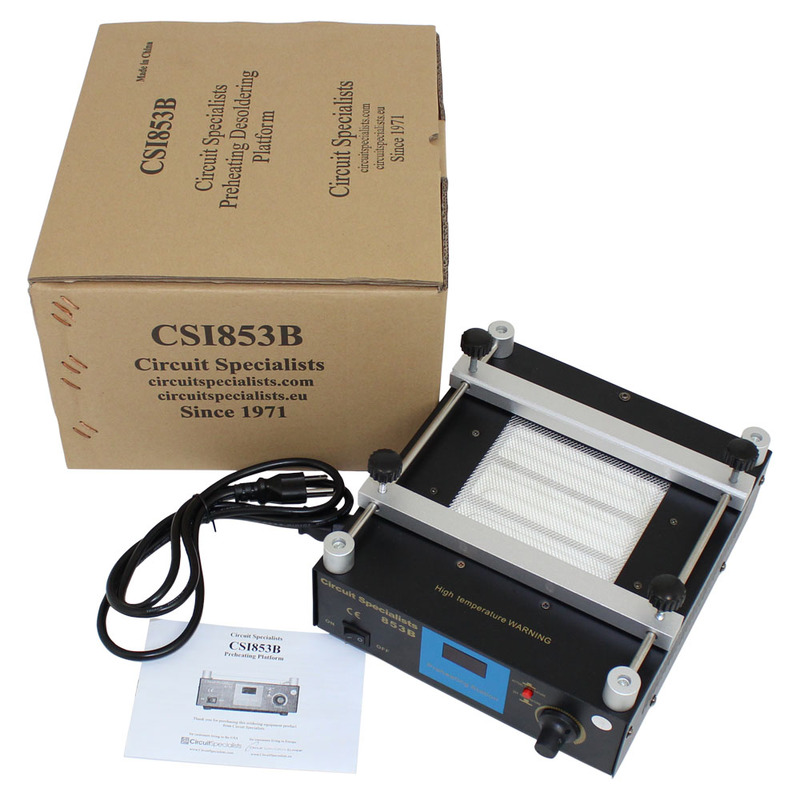 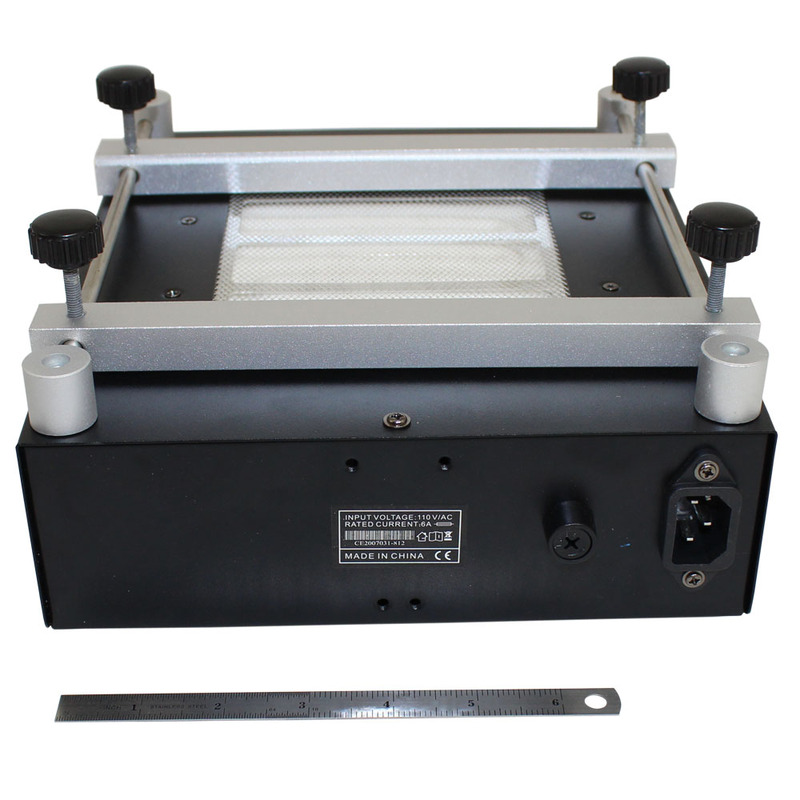 The integrated ceramic heating element heats up and maintains a stable temperature. 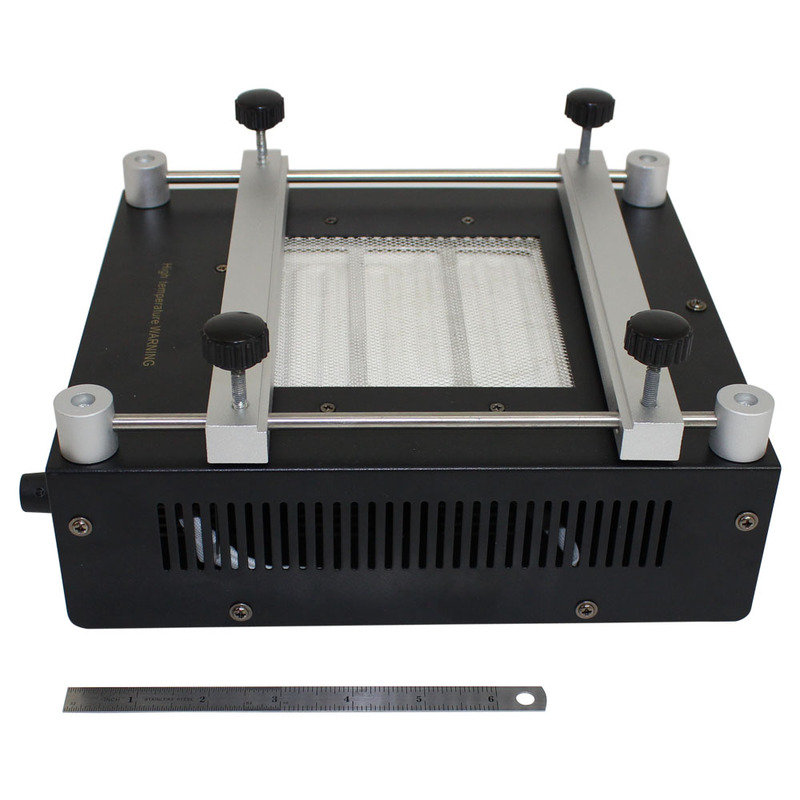 This model is designed with a microcomputer controlled closed loop PID temperature control circuit. 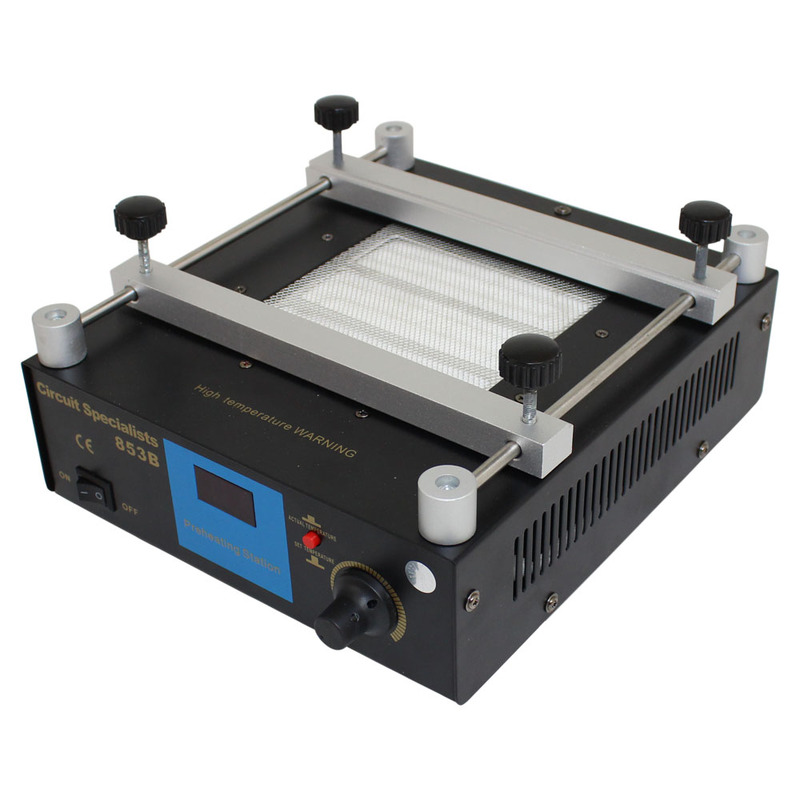 The program cycles every 20 milliseconds to detect the actual temperature at the heating element allowing for quick and rapid recovery to the set temperature. 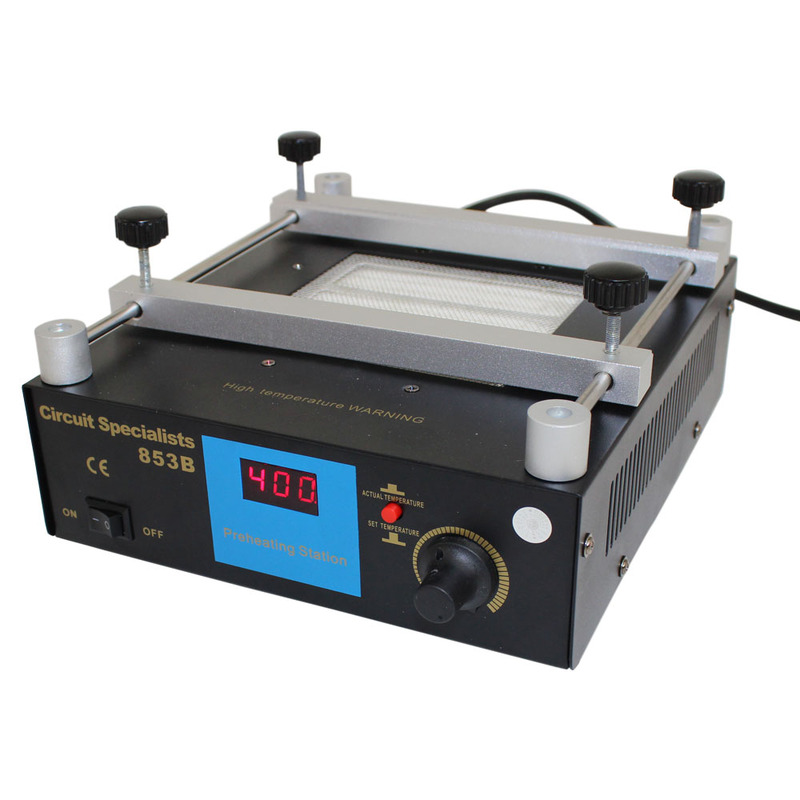 Easy to operate with a simple front panel LED temperature display and sliding card brackets that conveniently move and can be set in place with by tightening the set screws. 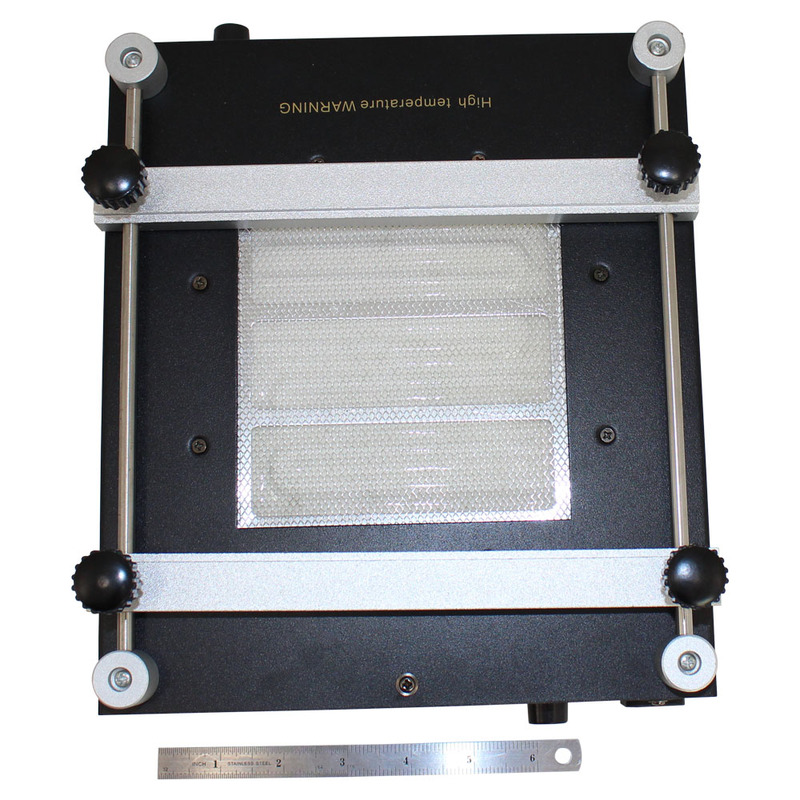 This allows the end user to conveniently and accurately place the board over heating panel area.